The first thing I’ve noticed upon loading Logos 8 is that it loads and functions quicker. For a long-time computer user, updates often slow down the software because they introduce new features that tax the machine on which they’re installed. So far, Logos 8 has done the opposite! Even the live Interlinear seems to load smoother. The second immediate observation is that the frame of Logos 8 is cleaner, with new layout and icons. I quite like this refreshed look. I recall when I first loaded Logos 7 that it didn’t seem much different from Logos 6, but that’s not the case here. 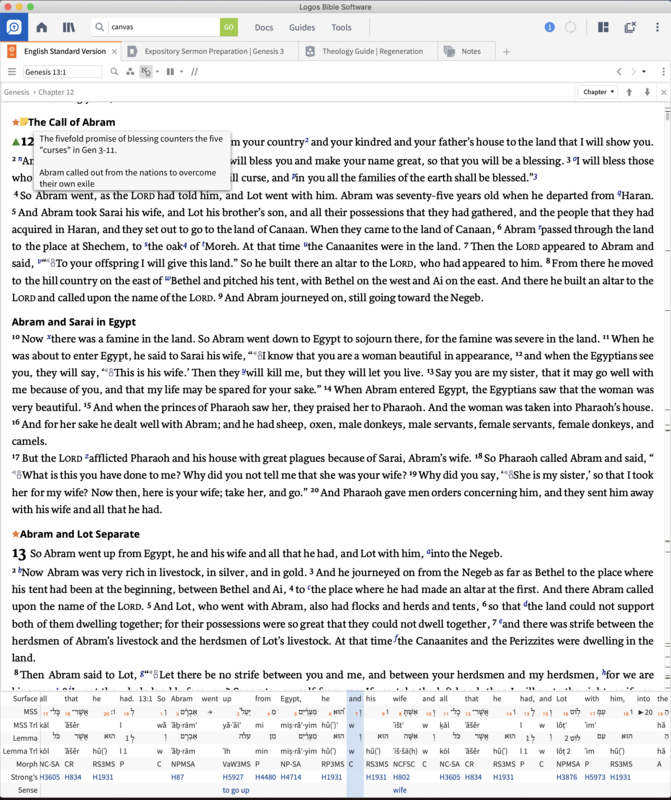 I use the Notes function of Logos quite frequently to make a “running commentary” of the Bible. Whenever I run across a great insight for a particular verse or chapter, I place a note in that section of scripture and color code it depending on what kind of insight it is. Whenever (and wherever!) I read my Bible in Logos, these insights helpfully show up. It’s a great central location since I always have Logos with me. 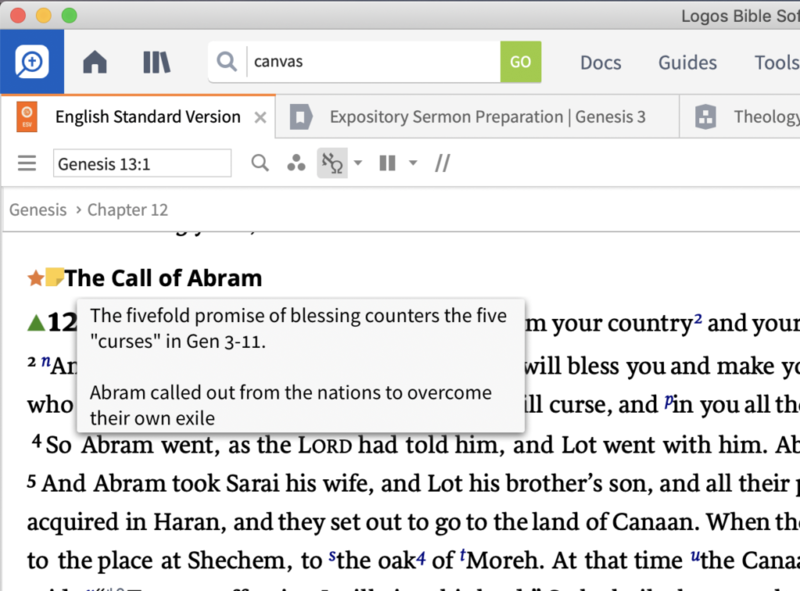 Logos 8 has completely overhauled the Notes tool to be even more useful. I’m currently a student at Western Seminary and am taking Theology I. I’m about to finish up this semester, but I really wish that I had access to the Logos 8 Theology Guide! 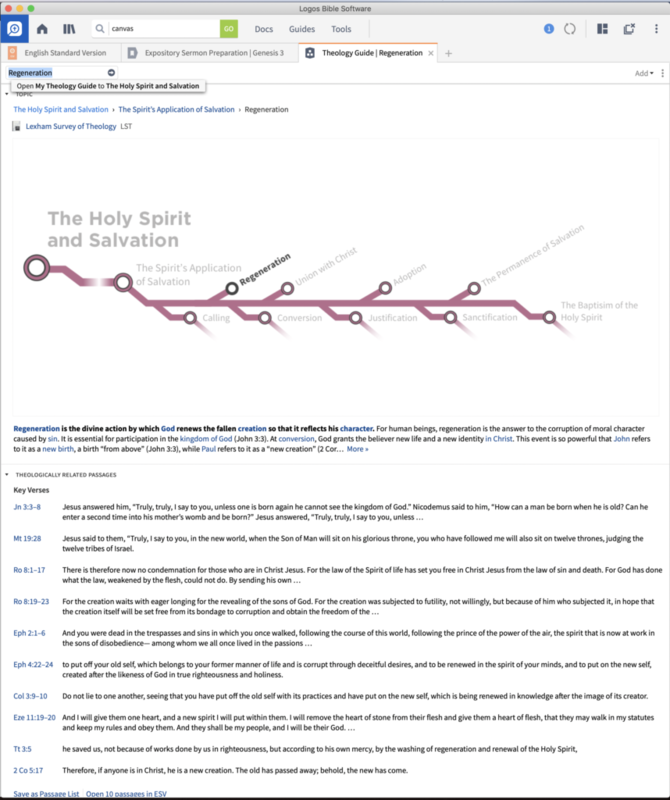 It gives a summary and visual representation of the doctrine, related texts in Scripture, and links to recommended reading. 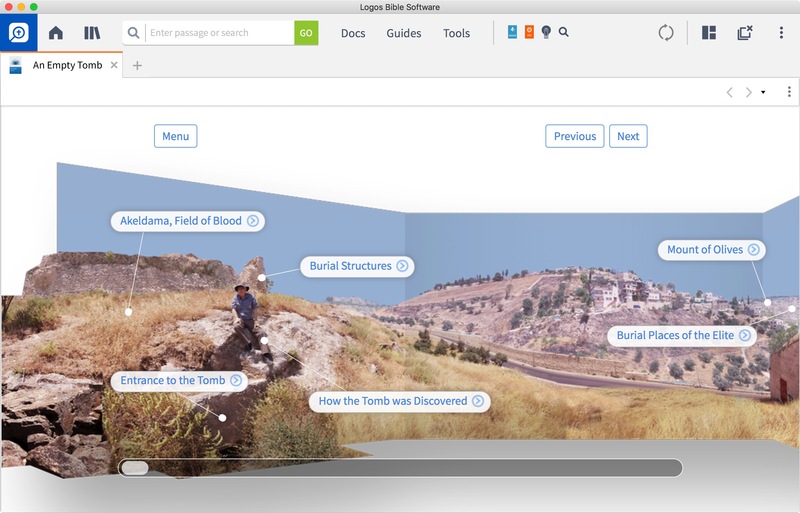 Though Logos 8 brings in many new features, here are a few that interested me. I prefer to have Logos load to a blank screen (it’s faster and I don’t want the distraction). 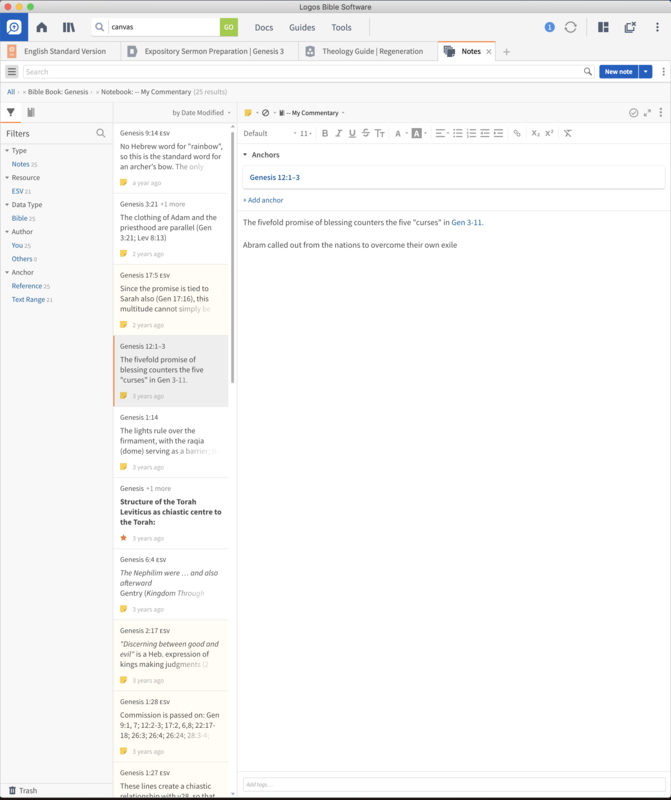 However, many use the Home Page and will notice that this has been redesigned too. There is a new Faithlife Assistant tool that helps the user do some simple tasks. Many regular users of Logos don’t know the most basic functions (I still have much to learn!) so any tool like this is very welcome. There are some new guides, such as Expository Sermon Preparation that helpfully walks one through the preparation of a sermon. Though I’m far from an expert in Logos, and the test of good software is in long-term use, I can say that with my initial explorations of Logos 8, I’m impressed. I’m particularly excited about using the new tools I’ve highlighted above. Faithlife has a great introduction to Logos 8 so I’d suggest you take a look for yourself! Disclaimer: I do some work for Lexham Press, the publishing arm of Faithlife (makers of Logos). I have aimed to give an unbiased review of Logos 8.